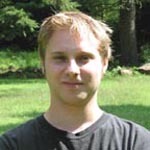 Former STUDIO Associate Fellow, Hans Meyer, is a Research Fellow at Brigham & Women’s Hospital and a Sociology of Medicine Ph.D. candidate at Cornell University. He has worked as a Researcher for Intel, Social Science Research Digital Health Group and a Research Assistant for the Center for Nanoscale Systems. Meyer has a M.Sc in Medical Geology from Penn State University, and a M.A. from the Sociology of Medicine at Cornell University.